Michael J Sullivan has been kind enough to give us even more of his time and has answered a few interesting questions below. We have avoided the usual questions on his work and delved into his interests in scifi and fantasy . 1.For many readers of fantasy and science fiction, video games, tabletop games and card games are a big part of their lives or have had a large influence on their reading. One of the most well known for many is Dungeons and Dragons. So, if you were a D and D character, what would you be and why? Okay, so you have to go right for the throat and expose the nerd, huh? Yes, I played D&D, mostly as a dungeon master. My first and main character was an elven fighter/magic-user/thief named Warwick. My second was a paladin so lawful good that it constantly landed him in trouble. Of course, this question is trying to determine how I see my real self through a fantasy game. So I will go with the obvious: Half-elf, fighter/thief. 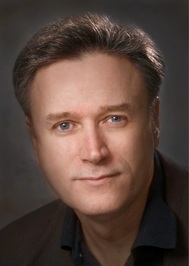 Michael writes classical fantasy and science fiction with unlikely heroes and epic adventures. His books have sold more than three quarters of a million English language copies, been translated into 12 foreign languages, and appeared on more than 150 best-of or most-anticipated lists. 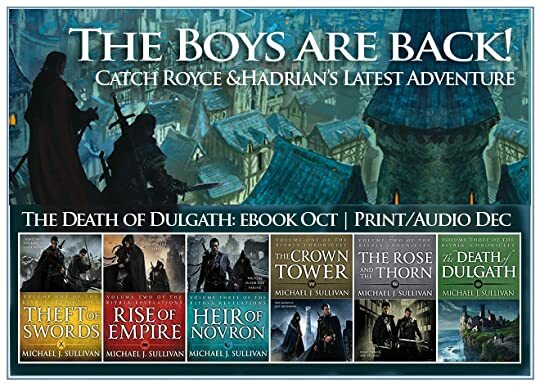 Last year we chose Theft of Swords, part one of the Riyria Revelations as our Fantasy Book of the Month for October and Michael J Sullivan was kind enough to do an ask the author thread for us. Here I will show some of the questions and answers from the thread including a really interesting comparison of his upcoming series Age of Myths to his other work.